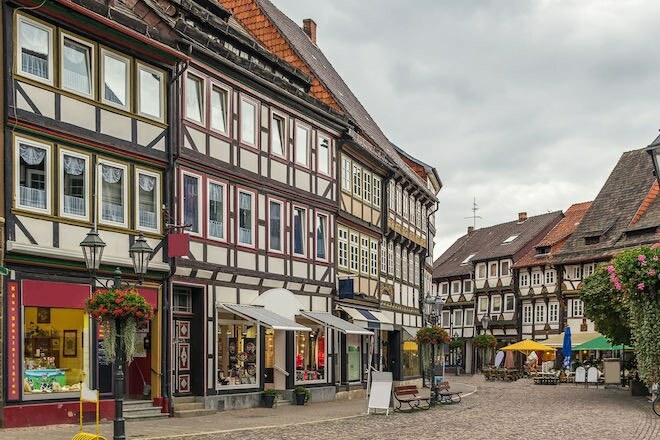 The picturesque town of Einbeck in southern Lower Saxony known for its colorful timber-framed buildings is also the origin of the famous Bock family of beers: Traditional Bock, Doppelbock, Eisbock and Maibock. These are strong lagers whose history dates back to the 14th century, with roots in this medieval town of Einbeck. 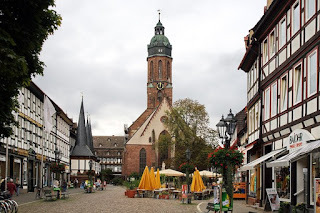 The history of the Bock beer is as fascinating as the picturesque town of Einbeck, well known for its strong tasty beer which Martin Luther the famous German monk described as, 'The best drink known to man is called Einbecker Beer'. 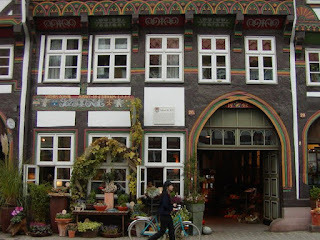 The history of beer making in Einbeck goes back to the 14th century. 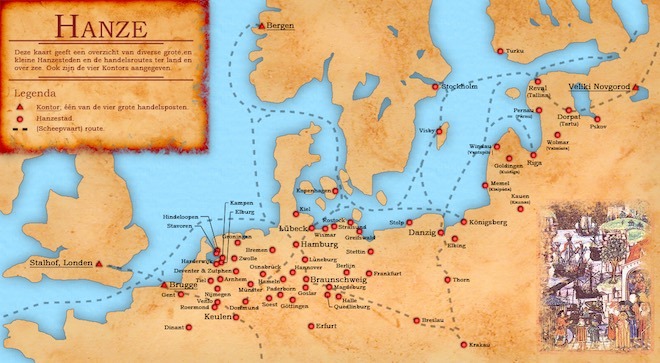 Beer trade was significant for the city of Einbeck which had over 700 master brewers and every citizen had the right to brew beer. The city council purchased the overproduction and handled the marketing and sales of beer in the whole of Germany and abroad. The first city record in Einbeck for the sale of beer is dated April 28, 1378 for the sale of 2 casks of Einbecker beer to the city of Celle, around 75 miles away. In 1368, Einbeck joined the Hanseatic League a late-medieval network of trade merchants, thus broadening the distribution area for its beer, which covered Antwerp in the west to Riga in the east and from Stockholm in the north to Munich in the south. 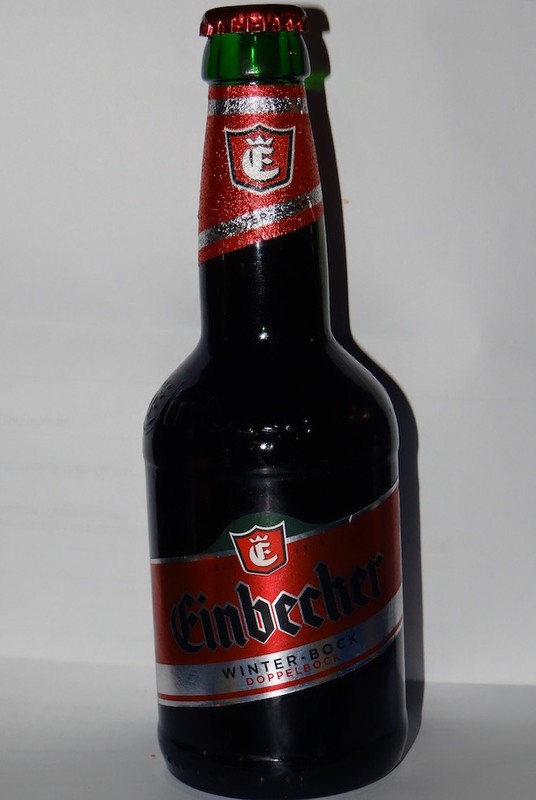 This famous beer from Einbeck was called 'Ainpöckische Bier' and it was brewed as a dark, malty, lightly hopped ale with strong alcohol content to preserve the beer for its long journeys. 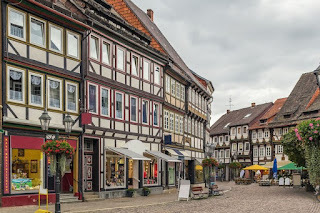 The streets of Einbeck's historical town center are still lined with colorful timber-framed buildings from the 15th and 16th century that have wide arched doors, necessary to bring in the brew kettle when it was moved from one town house to the next in the row. 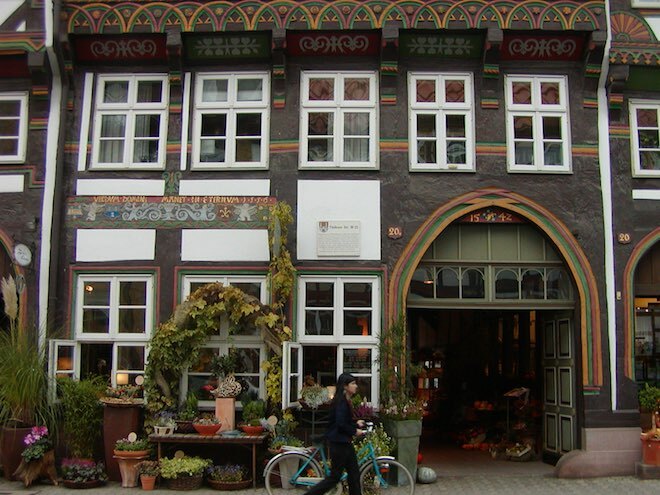 The Einbecker brewery in Einbeck founded in the middle of the 14th century is one of the oldest still operating breweries in the world. Due the growing popularity and shipments of the strong Einbecker beer, in 1612, Munich lured a Einbeck master brewer to produce the beer in Bavaria. In Bavaria, the Einbecker beer was adapted to the lager, to suit the Bavarian style of making beer in the cooler months of autumn and winter with bottom-fermented yeast. So the famous beer from Einbeck called 'Ainpöckische Bier' was shortened to 'Oanpock' by Bavarian consumers, who often mispronounced the town as 'ein Bock' due to their Bavarian accent and thus the beer became known as 'bock' which means 'goat' in German. Bock beers have a long history of being brewed and consumed by Bavarian monks as a source of nutrition during times of fasting. The beers brewed by the monks were strong with a lot of malt, while those produced by the Bavarian brewers for consumption at spring festivals were paler with more hops. It was in Bavaria where the different styles of Bock were developed. There are different styles of Bock beer with differences in strength and the amount of hops and malts used for brewing. Traditional bock is full-bodied, relatively strong, lightly hopped lager with malty and toasty aromas and notes of caramel. The color can range from light copper to brown, with an off-white foam on the top of the beer. The beer is characterized by a subtle hint of hops in accordance with the original recipe. Doppelbock is a stronger version of the Traditional bock, that was first brewed in a convent in Munich by the monks during the Lenten fast. The color can range from dark gold for paler version to dark brown with ruby highlights for darker version. The beer is characterized by a subtle hint of hops with rich and malty flavors. Also known as helles bock, it is more refreshing with moderate to strong malt aroma, and hop character generally more apparent than in other bock beers. The color can range from deep gold to light amber with a large, creamy foam on the top of the beer. It is a fairly recent development compared to other styles of bock beers, and is frequently associated with springtime and the month of May. Eisbock is a traditional specialty of the Kulmbach district of Bavaria brewed by freezing a doppelbock and removing the ice to concentrate the flavor and alcohol content. The color can range from deep copper to dark brown in color, often with ruby highlights. The flavor is rich and sweet, sometimes with hints of chocolate, always balanced by a significant alcohol presence.